This object lesson teaches that when we try to do ministry in our own power, we may be able to spread light for some time, but we will eventually burn out. Only by continually renewing our power source (i.e., by allowing ourselves to be filled with the Holy Spirit) can we continue to be strong in ministry over the long term. You can choose from the following Scriptures depending on how you want to reinforce your lesson. Set up the two, identical lamps on the table at the front of the room. 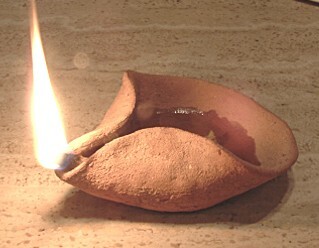 Fill one lamp with oil, but leave the other dry. Place the bottle of oil somewhere nearby but out of sight.